INDIA. Mumbai. 2006. 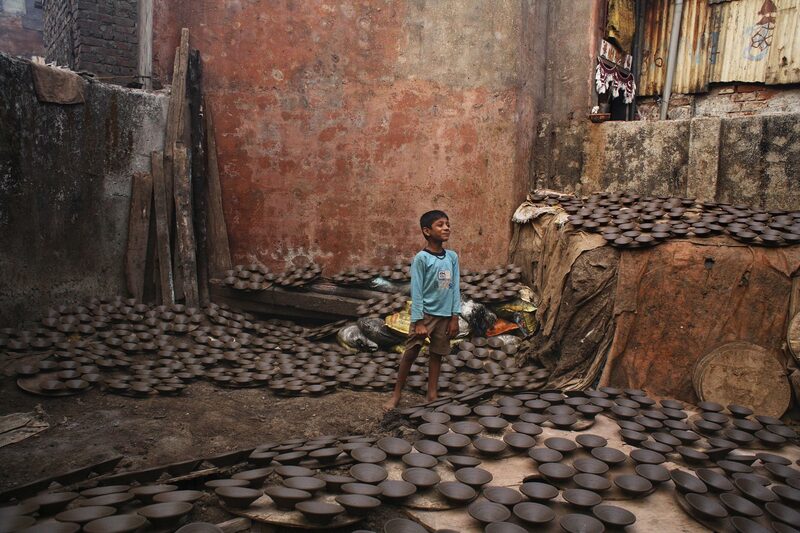 In the Khumbharwada, the Gujarati potterer's neighborhood, a potter's son plays among hundreds of drying clay plates. The gujarati potters are one of the original inhabitants of the area.